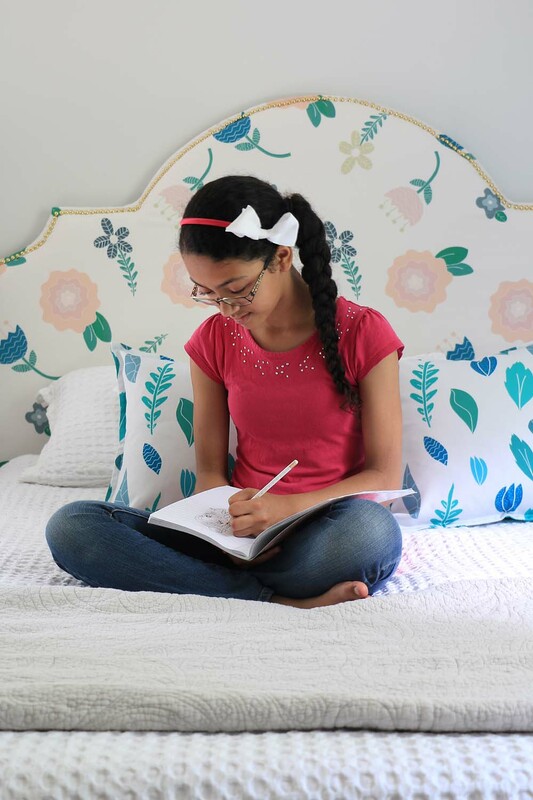 Ursula Carmona, founder of DIY design blog Home Made by Carmona, has been in love with home décor and DIY as long as she can remember – and her 12-year-old daughter Priya is just as creatively inclined. When it came time to remodel her daughter’s room, Ursula looked to Priya herself for inspiration. The budding artist hard at work. Shop Priya’s designs on fabric, wallpaper and gift wrap. Have you found yourself looking at the calendar asking, “Where did the school year go”? With summer quickly approaching, students are counting down the days until the last school bell of the year, while teachers are reflecting on the leaps & bounds made throughout the year (ok… they may also be thinking about that last bell too!) 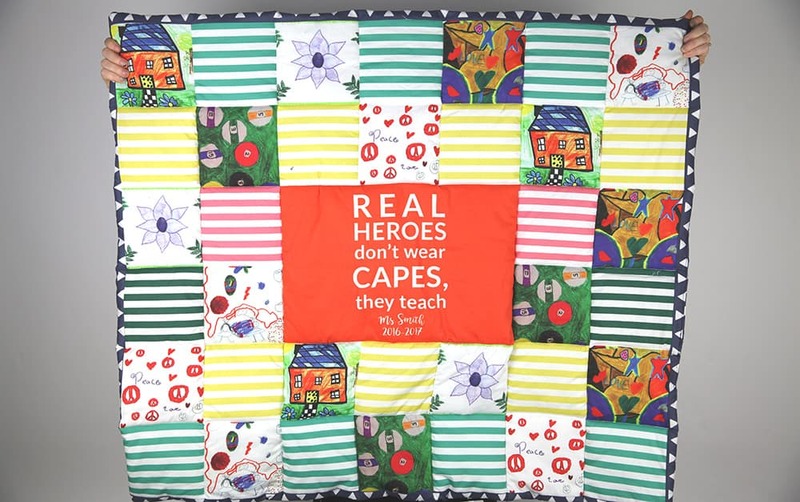 Need a little help dreaming up a thoughtful end-of-year gift for your child’s teacher? 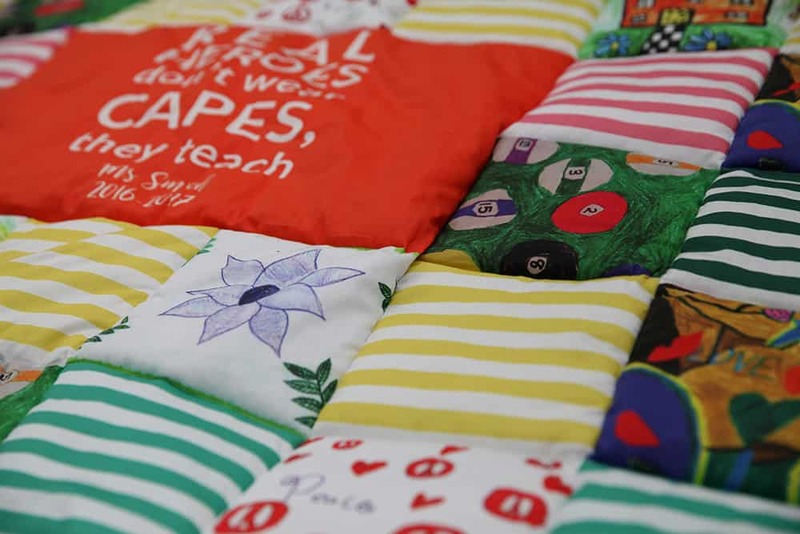 Spoonflower team member Meredith demonstrates how to make a personalized cheater quilt for approximately $50 using student artwork and Spoonflower’s newest feature, Fill-A-Yard™. When you run out of real estate on the fridge, it’s time to incorporate your children’s precious artwork into other projects! With Spoonflower, you can upload drawings and print fabric featuring your little one’s masterpieces. In this bonus tutorial submitted by Beth Davis for The Spoonflower Handbook, we’ll be using Adobe Photoshop to create a fabric design from elements in a child’s drawing. 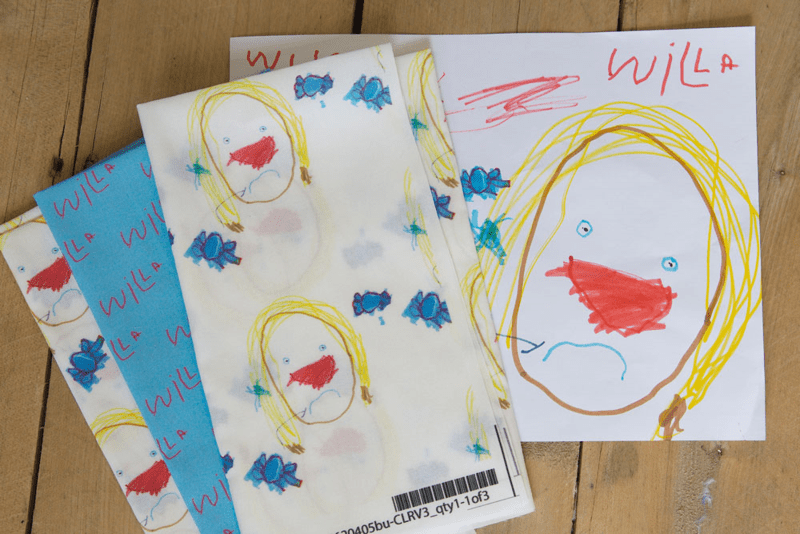 I recently had the opportunity to color with my favorite 4-year-old friend Willa, and the self portrait that she created was too precious not to capture in a more lasting form than printer paper. With the power of very basic photo editing (I used Photoshop) and tools on Spoonflower’s website, I was able to take elements from Willa’s amazing portrait and arrange them into a fun repeating pattern, and I even used her signature to create a custom coordinate!